There’s a plethora of devices you can add to make your home smarter, and in the living room, a Smart TV is the centerpiece you need for a smart living room. So what actually is Smart TV? Let’s See! 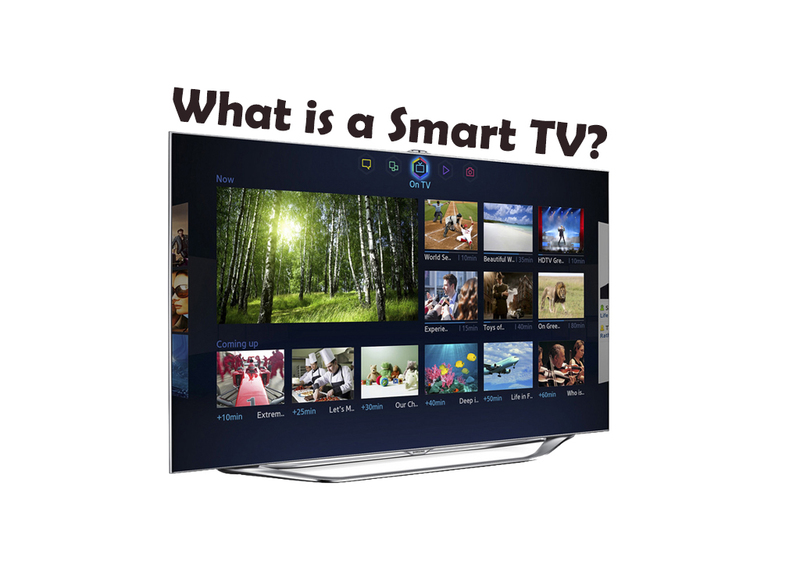 What actually is a Smart TV? Originally called “connected TVs,” these sets were later branded by companies such as Samsung and LG as “smart TVs.” The term has come to denote any television that can be connected to the Internet to access streaming media services and that can run entertainment apps, such as on-demand video-rental services, Internet music stations and Web browsers. Smart TV gives all the basic functionalities as of a normal TV i.e. it supports the local cable connection, but also provides some extra features that take your TV watching experience to a whole new level! The Smart TV will connect to the Internet, either by using Ethernet cable or by built in WiFi. Once your TV is connected, you will have access to a whole range of online services! These features vary greatly from model to model, while some give you access to only Skype and a low quality webcam, some may even give HD video calling features, as seen in High-end TV models. Apart from these, your device is very much sure to support social-networking sites like Facebook, Twitter etc. But the feature you will love the most is the support of Video-On-Demand i.e. access to high quality videos anytime you want from services like Netflix, Hulu, Amazon Instant Video and others. At present the top contenders for smart TV software are Roku and Android TV. Both, have been pushing regular updates for the Smart TV to make your experience better. These TVs have built-in computers and an internet connection, and manufacturers can add other features via a firmware update. Casual games, such as Angry Birds, are now quite common on smart TV sets. The list of cool features doesn’t stop there, either. You can also get an ‘Electronic Touch Pen’ which allows you to write directly on your TV screen, leaving messages for people as if it were a household white board. There are Wi-Fi-enabled Body Mass Index scales and a health-monitoring wristband, allowing you to keep track of your weight and fitness via your TV. A perhaps more useful feature comes from Samsung’s Smart Evolution Kit. This accessory allows owners of certain older Samsung TVs to upgrade to the latest spec by simply plugging a box into a slot on the back of their TV. 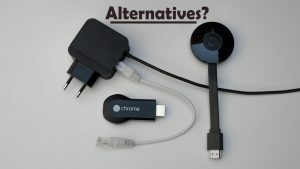 So if you don’t want to spend a lot on a Smart TV, then you have a list of alternatives that will give you pretty same features at a reasonable price. 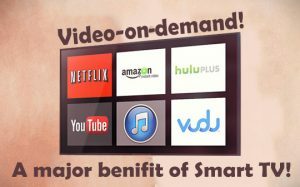 You do not need a smart TV to get streaming Netflix movies or YouTube videos on your screen. Many set-top boxes can stream those services and more to an HDTV. The leading models are from Amazon, Apple, Google and Roku. You can check them all and convert any old TV with an extra HDMI port to a Smart TV! So there you have it: our rundown of the features of today’s smart TVs. But manufacturers are adding new features all the time – so keep checking This Digital Home for information on any future advances!